Potential CFPB Suit Against Collection Agency Now "Dead"
Equipment Finance Group, Short Hills, New Jersey (02/18) Investors Bank launches experienced, seven-person team of equipment financing professionals led by Group Leader Kenneth L. Walters, has joined Investors Bank. California is a usury-exempt state so long as the lender is licensed and fulfills certain criteria. In today’s case, the lender, while licensed, committed a number of minor violations which placed the lender in a category which had a usury ceiling. The facts follow. 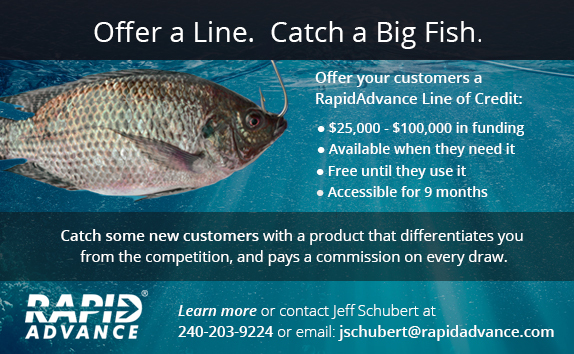 Advance America is a large payday lender making small consumer loans in 291 locations throughout California. The facts are not clear, but Advance America apparently made “pink slip” loans, basing the loan on collateral consisting of motor vehicles. 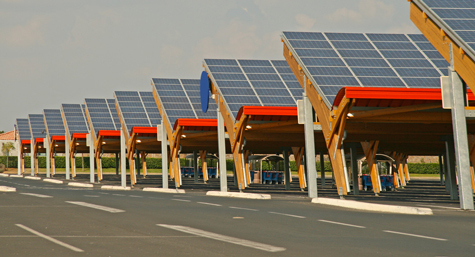 Advance America charged the borrower for the administrative fees incurred in connection with placing a lien on the titled vehicle. The gist of the improper conduct is that while the principal amount of the loans was over $2,500, which exceeds the floor for being able to charge unlimited interest, the lender improperly charged administrative fees, and if one deducted those administrative fees, the loans were under $2,500. Accordingly they are subject to interest rate caps, which is presently about 30%. Advance America also collected unauthorized NSF fees on returned checks that were deposited after customers made partial payments on their loans. Advance America also failed to refund finance charges to customers that paid off their loans the next business day following origination. Finally, some of the locations which conducted this activity were not licensed. In 2008, the Department of Business Oversight conducted an examination of the company, which disclosed some of the above conduct, all of which were violations of California law. As a result of the dispute, Advance America tried to make the situation right by refunding some of the illegal finance charges. All but $11,358.27 was refunded. The un-refunded portion was escheated to the State of California because the customers could not be located. After negotiations with the Department of Business Oversight, Advance America agreed to pay its customers $94,037.75, which consisted of $48,300.00 for NSF fees paid on returned checks that were deposited after customers made partial payments on their loans, and $45,737.75 in finance charges will be returned to customers who paid their loans in full the next business day following origination. In addition, Advance Oversight agreed to pay the DOB penalties of $77,859.09. This is an expensive lesson for the lender. It’s not like this is an evil lender, the administrative violations were unintentional and the lender self-corrected those upon being audited. Nevertheless, the overall hit was over $160,000, not an insignificant amount. The bottom line to this case is that California lenders which do hard money loans should have a compliance officer, trained the regulations who can, in turn, train employees to make loans which comply with state law. 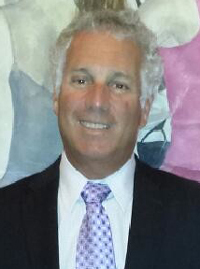 Tom McCurnin is a partner at Barton, Klugman & Oetting in Los Angeles, California. 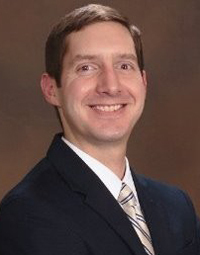 Eric Ausubel was promoted to Executive Vice President, CSI Leasing, St. Louis, Missouri. "Previously Senior Vice President, Eric is responsible for funding and syndications with respect to CSI’s domestic lease transactions with more than 35 financial institutions throughout the U.S. He has been with CSI for more than 30 years and earned a bachelor’s degree from Washington University in St. Louis, as well as an MBA from Washington University’s Olin Business School." 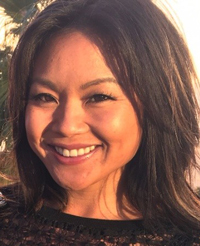 Callie Calimlim was hired by the CIT Group, New York, New York, to coordinate business with Toshiba Branches in the West. “(She)... joins Mary Perrone, who supports Toshiba branches in the East and Midwest, to comprise the CIT team supporting Toshiba overall." Previously, she was an Independent Consultant, working with various companies; Growth and Engagement Manager, Shyp (June, 2017 - July, 2017); Indirect Sales Manager, Sprint (August, 2015 - October, 2016); eCommerce Manager, Band/Berc/Topsin Media (July, 2014 - December, 2014); Senior Account Manager, MashOn (March, 2012 - December, 2013); Business Development and Relationship Management Specialist, Cannon Financial Services (January, 2009 - September, 2009); Account Executive, Canon Financial Services, Inc. (July, 2005 - December, 2008); Credit Analyst, Jules and Associates (February, 2000 - May, 2002). Community Service: Volunteer, Operations & Logistics, Opportunity Green (2007 - 2008). Education: University of California, Los Angeles. B.A., Political Science/International Relations. Activities and Societies: Varsity Crew Samahang Pilipino Student Organization. 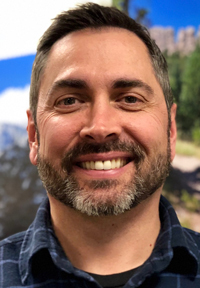 Jeffrey Eades was promoted to Vice President, Key 4 Green National Sales Leader, Key Equipment Finance, Superior, Colorado. He is based in Syracuse, New York. He joined the firm January, 2003. He began his career as Banking Officer, Key Bank, NA (March, 1987 - June, 1997); Assistant Treasurer, Chase Manhattan Bank (June, 1997 - March, 2001); Regional Manager, VP of Business Development, Riviera Finance (March, 2001 - June, 2002); Vice- President, Business Banking, Fleet, Bank of America (June, 2002 - December, 2002). Community Service: Volunteer: Vice Chairman, American Cancer Society (January 1992 - June, 1997). Vice Chairman, American Lung Association (August, 1989 - June 1996); Board, Assistant Secretary, Aurora of CNY (December, 2002 - Present); Board of Directors, Camp Fire USA of Central New York (January, 2003 - December, 2016); Board of Directors, Treasurer, Finance Chair, Spaulding Support Services (July, 2015 - January, 2018); Member, United States Green Building Council (November, 2015 - Present); Advisor to Board of Directors, Camp Fire, Camp Talooli (December, 2016 - Present); Member, Board of Directors, Access CNY (January, 2018 -Present). Education: Syracuse University, Maxwell School of Citizenship and Public Affairs, BA, American Studies (1983- 1985). Authored thesis for Major Published in Archival Status. Minor Discipline with Domestic Political Science and Economic Policy focus. Quinnipiac University School of Law, Juris Doctorate Studies Law (1985 - 1986). Activities and Societies: Alpha Phi Omega Law Fraternity. West Genesee HS, Regents Honor Diploma, Regents College Prep (1977 - 1981). Running, Collegiate Travel Baseball, CYO Basketball, National Honor Society, Presidential Fitness Awards, Language Arts. Kurt Fuchs was promoted to Senior Vice President, Government Affairs, MidAtlantic Farm Credit, Denton, Maryland location. He joined the firm September, 2003 as Assistant Director of Government Relations. Education: McDaniel College. Bachelor of Arts (B.A. ), Political Science. Shawn Haines was promoted to Assistant Vice President/Credit Manager, Merchants Bank Equipment Finance (MBEF), a Division of Merchants Bank, Minneapolis, Minnesota. "(He)...is responsible for overseeing underwriting, reporting and maintaining credit quality at MBEF. 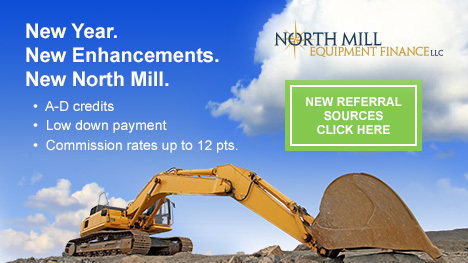 Today, MBEF has 11 employees and primarily provides equipment lease and loan financing options to businesses located throughout the central U.S. and partners with other finance companies in equipment finance transactions outside its marketing footprint." He joined MBEF March, 2011. Previously, he was Credit Officer, Textron Financial (2002 - 2005); Credit Analyst, Farm Credit Leasing (1996 - 2000). Education: Minnesota State University, Mankato. BS. Economics (1992 - 1995). MHS. 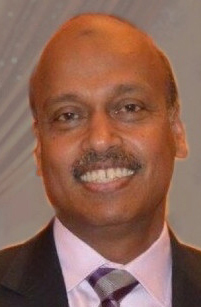 Jamshed Khan was hired as LeaseQ Chief Technology Officer, Burlington, Massachusetts. 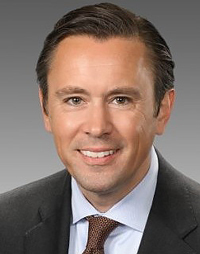 He previously was Managing Partner, The Trieste Group (May, 2009 - March, 2018); Vice President, Ameriprise Financial (July, 2002 - May, 2009); Senior VP, Zurich Scudder Investments (2000 - 2002); Senior Vice President, Deutsche Asset Management (2000 - 2002); Quant Technology, GMO (1998 -2000); Chief Applications Architect, DiaLogos (1996 -1998); Senior Consultant, Putnam Investments (1993 - 1995); Assistant Vice-President, Wellington Management. Education: University of Massachusetts, Boston. Master of Science (MS), Applied Physics. Karachi University, Master of Science (M.Sc. ), Nuclear Physics. 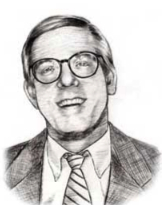 Charles H. King was hired as Managing Director, Global Practice Leader, ZRG Partners, LLC, Rochelle Park, New York. 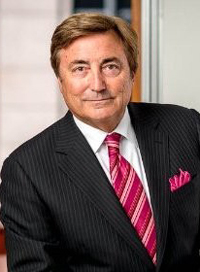 Previously, he was Managing Director, Board Practice, Diversified Search, LLC (July, 2015 - March, 2018); Vice Chairman, CEO and Board Practice, CT Partners (April, 2012 - July, 2015); Managing Director, CEO and Board Practice, Korn/Ferry International (January, 2001 - March, 2012). Scott Pemmons was hired Assistant Vice President by the CIT Group to support independent dealers in the western states. 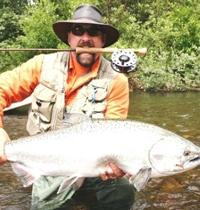 He is based out of Corvallis, Oregon. 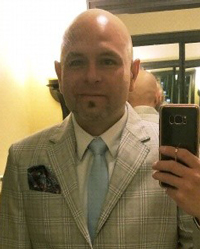 Previously, he was Marketing Director, CTX/Xerox (March, 2003 - January, 2018); Professional Baseball Player, Cincinnati Reds (June, 1989 - September, 2003). Education: Lubbock Christian University. Kim Phillips, CPA, was promoted to Assistant Vice-President of Accounting, CSI Leasing, Inc., St Louis, Missouri. "(She)...will continue her role in the daily management of CSI’s U.S. accounting and financial statements, along with other special projects. Kim has been with CSI for 10 years. 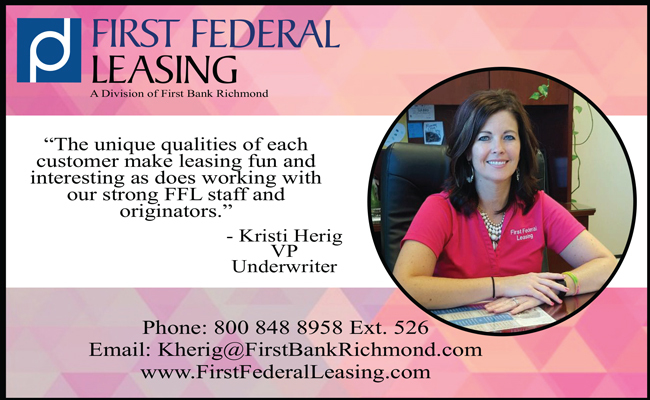 Prior to, she worked for a local CPA firm and earned a bachelor’s degree from Maryville University in St. Louis." Micah Thompson was hired as Executive Vice President and General Manager, CG Commercial Finance, Jacksonville, Florida, "...to manage its middle market affiliate sales channel. 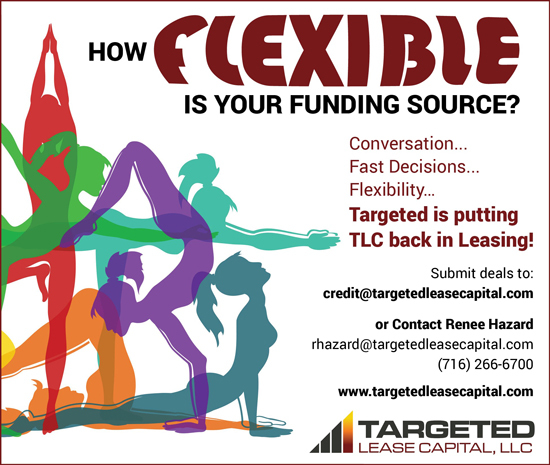 The group provides equipment financing solutions to middle market corporates through lessor and other affiliate channels.” Previously, he was Managing Director, Originations, SQN Capital Management, Inc. (February, 2017 - March, 2018). He joined Siemens Financial Services, February, 2002, as Leader, Vendor Finance, Europe, based in the Munich Area, Germany; promoted February, 2004, VP National Sales Manager, Vendor Business Unit; promoted January, 2010, Senior Vice President, SFS US PSI. Prior, he was Director Program Management, Europe and Asia (1995 - 2001); Sales Manager, Capital Asset Finance, Ltd (January, 1990 - April, 1995). Education: Esher College. All adept secured lenders and equipment lessors (“lenders”) have provisions in their credit agreements requiring the lessee or borrower (“debtor”) to maintain personal property insurance protecting the lender’s interests in the event the equipment is lost, damaged or destroyed. And virtually all adept lessors under “true” leases require the debtor to maintain liability insurance naming them as “additional insured” to protect them against claims of vicarious personal-injury and property-damage liability caused by the equipment, since they are the legal owners of the equipment. Some of these lenders merely obtain a certificate of insurance (typically on a one-page Acord® form) to satisfy themselves that the proper insurance is in place and that they have the status of loss-payee or additional insured, but do not understand that insurance certificates are not binding evidence of insurance. Insurance certificates are not issued by the insurer, but by a clerk employed by the local agent or broker. They are issued to lenders for information purposes only (and most certificates contain this disclaimer at the top of the certificate). In order to obtain legal loss-payee or additional-insured status, the lender must make sure that those rights are expressly granted in the insurance policy itself or in an endorsement added to the policy and signed by the insurer. Thus, the lender needs to obtain a copy of the policy to make sure it contains the necessary language, or, if it doesn’t, request the broker or agent to obtain a signed endorsement from the insurer (except perhaps in small-ticket transactions, where spending this time is not feasible). A final note: With respect to property insurance, the lessor or lender should require “lender’s loss payee” status, not merely “loss payee” status. The difference is potentially huge. “Lender’s loss payee” status allows the lessor or lender to enforce the insurance policy if the policy is voided due to fraud by the debtor. Smart lending makes good luck. 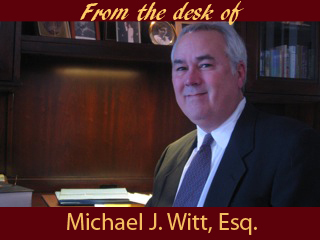 Michael Witt was Managing Counsel at Wells Fargo & Co and Senior Vice President and General Counsel of Advanta Leasing Corporation. He is now in private practice in Iowa. Facebook has had tremendous success selling personalized ads over the past few years. In 2017, the company accounted for 20 percent of the global online advertising market, second only to Google, arguably the one company sitting on an even larger trove of personal data. 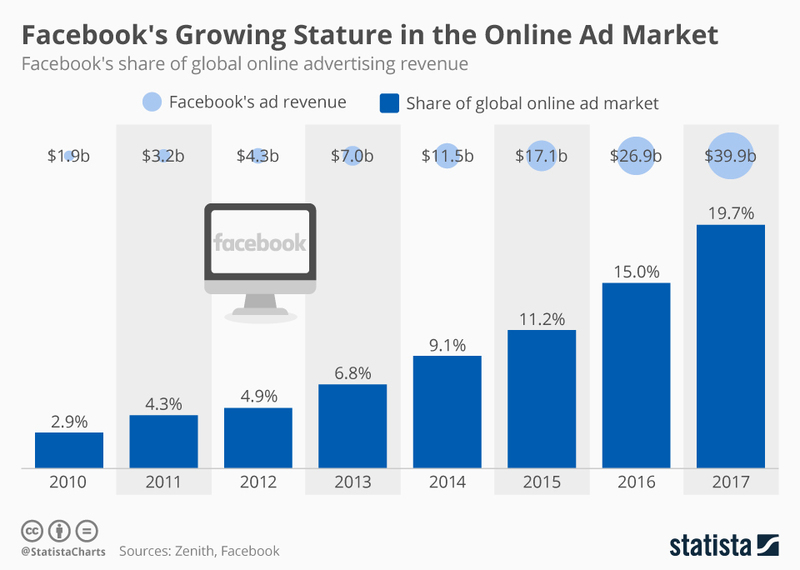 It will be interesting to see how the current debate affects Facebook’s advertising business in the long run. The Certified Lease & Finance Professional (CLFP) Foundation has scheduled the first three Academies for Lease & Finance Professionals (ALFP) for 2018. Last year, the CLFP Foundation partnered with twelve different equipment finance companies to organize eight different Academies. Of the 133 CLFPs that were added to the membership last year, 102 attended an Academy. 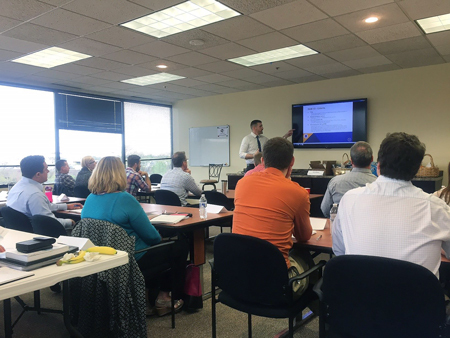 The class is a three-day event designed to fully prepare an individual to sit for the CLFP exam assuming that the candidate has read and studied The Certified Lease & Finance Professionals’ Handbook prior to attending the class. During the first two days, all of the required sections of the CLFP exam are covered in-depth and on the third day, the exam is offered, but not mandatory. The CLFP designation identifies an individual as a knowledgeable professional to employers, clients, customers, and peers in the equipment finance industry. 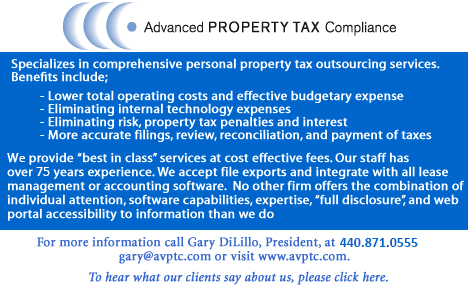 There are currently 539 Certified Lease & Finance Professionals and Associates throughout the world. There have been two internal Academies this year (meaning hosted by the company and only internal employees were invited). There is one scheduled for April. Location: Hosted by Great American Insurance. Class Location: Great American Insurance, Queen City Square, 301 E. 4th Street, 23rd Floor, Cincinnati, OH 45202. Guests will check-in at lobby security for access to the 23rd floor. For more information, call Executive Director Reid Raykovich, CLFP at (206) 535-6281 or visit www.CLFPFoundation.org or to register for an Academy, visit: http://www.clfpfoundation.org/alfp-calendar Registration to each event is limited. The Federal Deposit Insurance Corporation (FDIC) announced settlements with Cross River Bank, Teaneck, New Jersey, and its institution-affiliated party, Freedom Financial Asset Management, LLC (FFAM), San Mateo, California, for unfair and deceptive practices in violation of Section 5 of the Federal Trade Commission (FTC) Act related to the marketing and origination of Consolidation Plus Loans (C+ Loans). In addition, the FDIC found the bank and FFAM violated the Truth in Lending Act (TILA) and Electronic Fund Transfer Act (EFTA). As part of the settlement, Cross River Bank and FFAM stipulated to the issuance of respective Consent Orders, Orders for Restitution, and Orders to Pay Civil Money Penalties (collectively, FDIC Orders). The FDIC Orders require restitution to harmed consumers. Although the exact amount of restitution has not yet been finally determined, $20 million has been placed in a segregated account for the purpose of providing restitution to harmed consumers. Additionally, the FDIC Orders assess civil money penalties of $641,750 against the bank, and $493,500 against FFAM. 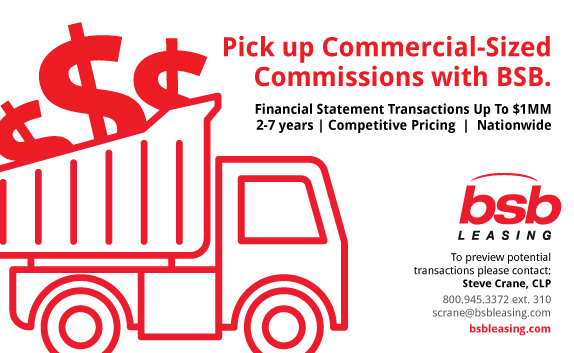 Cross River Bank originates C+ Loans, an unsecured debt consolidation loan product, through FFAM. C+ Loans are offered exclusively to consumers who contract with Freedom Debt Relief (FDR), a FFAM-affiliated debt settlement company. C+ Loans were marketed as a way for consumers to quickly resolve their outstanding debts. Consumers are charged a settlement fee of up to 25 percent of each debt enrolled in FDR's program. Misrepresenting that the consumers' creditworthiness would improve by obtaining a C+ Loan. As the originator of these loans, Cross River Bank is responsible for ensuring the C+ Loans program operates in compliance with all applicable laws. The FDIC Orders require Cross River Bank and FFAM to develop and implement a restitution plan that covers borrowers who, from 2013 to the present, received loans originated by the bank through FFAM, and were harmed by the practices identified as being unfair and deceptive. The restitution plan must be submitted to the FDIC for review and non-objection, and restitution calculations will be verified by an independent third-party. Consumers who are eligible for relief under the settlement are not required to take any action to receive restitution. In addition to the payment of restitution to harmed consumers and civil money penalties, the FDIC Orders also require Cross River Bank and FFAM to take affirmative steps to ensure compliance with the FTC Act, as well as TILA and EFTA. 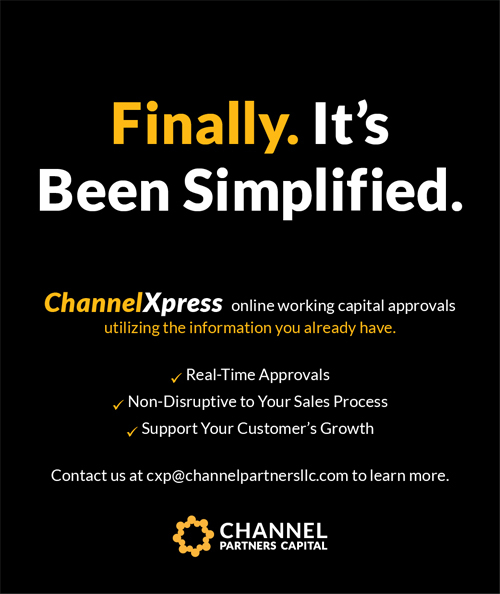 Cross River Bank's Order also requires adequate oversight of its third-party providers; a Compliance Management System that effectively identifies, addresses, monitors, and controls consumer protection risks associated with third-party activities; and sufficient resources to oversee third-party relationships. Congress created the Federal Deposit Insurance Corporation in 1933 to restore public confidence in the nation's banking system. The FDIC insures deposits at the nation's banks and savings associations, 5,670 as of December 31, 2017. It promotes the safety and soundness of these institutions by identifying, monitoring and addressing risks to which they are exposed. The FDIC receives no federal tax dollars—insured financial institutions fund its operations. Though Christmas, Halloween and Thanksgiving all boast a long list of holiday-themed movies, Easter-related movies are rarer but no less inspiring. With Easter Sunday right around the corner, take some time off from hunting eggs and chocolate bunnies and check Netflix for these classic holiday choices. My Dream Is Yours (Michael Curtiz, 1949): In just her second movie role, Doris Day shines in this exuberant musical from classic Hollywood craftsman Michael Curtiz (“Casablanca”). She stars as Martha Gibson, a New York single mother whose melodious voice catches the ear of Doug Blake (Jack Carson), a radio manager looking for new blood for his radio show. Confident in her talent, he moves her and her young son to Los Angeles and tries unsuccessfully to introduce her to the studio boss. Martha finally gets a chance when she replaces soused singer Gary (Lee Bowman) on the radio show, and a romantic triangle emerges along with her new stardom. 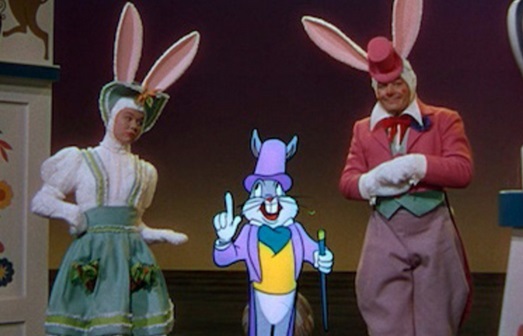 The most memorable sequence has Day and Carson donning colorful Easter Bunny suits for an animated sequence alongside Bugs Bunny himself. Ben-Hur (William Wyler, 1959): The most acclaimed and Oscar-plated of Biblical epics, this Best Picture winner from director William Wyler (“Roman Holiday”) continues to cast its colossal spell on audiences decades after its release. 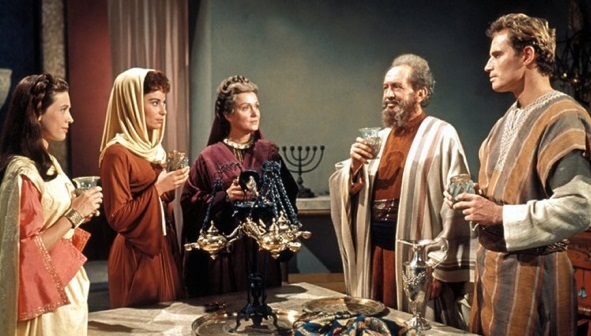 Charlton Heston had one of his most iconic roles as the eponymous Judah Ben-Hur, a Palestinian Jewish prince during the age of the Roman Empire. Betrayed by his childhood friend Messala (Stephen Boyd) and sentenced to slavery for his actions, Ben-Hur endures a gauntlet of punishments until he briefly crosses paths with a noble carpenter who turns out to be none other than the Messiah. Famous for its thunderous chariot race between the protagonist and his rival, Wyler’s prestigious blockbuster combines lavish spectacle with intimate intensity. The large cast includes Jack Hawkins, Hugh Griffith, and Cathy O’Donnell. It’s the Easter Beagle, Charlie Brown (Phil Roman, 1974): Created by legendary cartoonist Charles Schultz, the Peanuts gang became a favorite with young viewers for specials that taught the meaning of such holidays as Christmas, Thanksgiving and Halloween. The same goes for this funny and endearing feature, which finds Charlie Brown and friends getting ready to celebrate Easter. As the great egg hunt draws near, all the characters are pursuing their own way-+s of doing the holiday justice: Charlie Brown is concerned about the commercialization of Easter, Lucy is setting up her own private egg hunt, and Peppermint Patty is teaching Marcie the proper way to paint eggs. 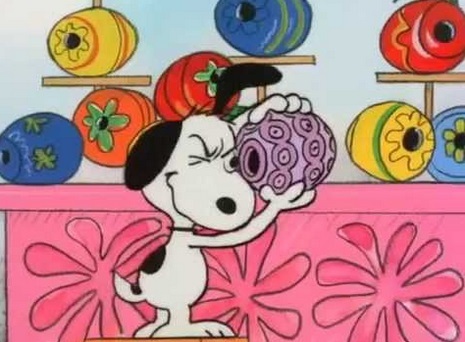 Meanwhile, Linus is telling everyone about the Easter Beagle, a role tailor-made for the one and only Snoopy. Amusing and heartwarming fun for the entire family. Cookie’s Fortune (Robert Altman, 1999): A pugnacious nonconformist, director Robert Altman (“Nashville”) mellowed with age, as evidenced in the blend of fondness and vinegar in this charming comedy-drama. Unfolding over Easter weekend in a sleepy Mississippi town, the film chronicles the family schemes that erupt in the wake of Jewel Mae (Patricia Neal), an elderly widow. Fearing scandal and the loss of inheritance, her niece Camille (Glenn Close) comes up with a plan to make the incident look like a murder—which leads to Jewel Mae’s friend and caretaker Willis (Charles S. Dutton) to being accused of the crime. With her plan depending on the help of her dim-witted sister younger Coral (Julianne Moore), how long can Camille keep up the pretense? Gentle but also biting, Altman’s portrait is a delight. Amazing Grace (Michael Apted, 2006): For a movie that illustrates the most stirring principles behind Easter, viewers can’t go wrong with this handsome telling of a deeply poignant chapter of history. Set in the 18th-century, it follows the life of William Wilberforce (Ioan Gruffudd), who as an ambitious, idealist member of the British Parliament took on the controversial issue of the slavery trade. Facing frustrating odds from politicians and merchants alike, he draws inspiration from his wife (Romola Garai), fellow abolitionists, and, above all, from his mentor John Newton (Albert Finney), a former slave ship owner who changed his ways after finding Christianity and writing the verses for the titular hymn. Though it has all the trappings of standard, stuffy period pieces, director Michael Apted’s underrated film remains compelling to the end. 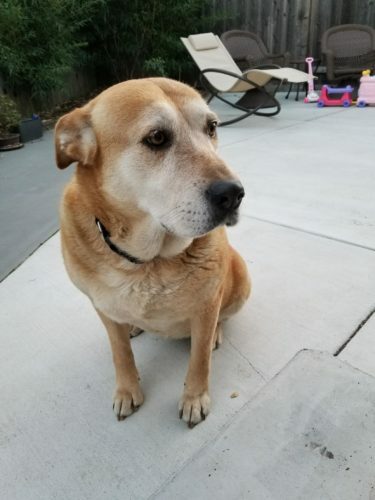 We rescued Goldie when we heard about this gorgeous golden/lab retriever mix who is 8 years old and was given an “end date” at another shelter and she had Canine Influenza. She was in a shelter that could no longer safely take care of her and their other dogs. No other shelter could take her to their shelter due to the infection but a good samaritan stepped up and said he could and would foster her to health and take her to the vet on his own time and money but only as long as another rescue stepped in to take “ownership” of her. Family Dog had to do something when we heard about this sweet pooch. Since being in foster the last 2 weeks she has not only completely healed from the terrifying canine influenza, but she has bounced back at being given her second chance. She is in foster in Palo Alto and thriving. Her fosters think she was clearly someone’s beloved pet. She responds to simple commands (sit/stay) and seems well trained in that she won’t jump on furniture/bed or scratch on the floor to be let in/out anywhere and is potty trained. She loves to play fetch and other than a few small barks they haven’t heard a peep out of her so not at all needy. They have discovered she seems starved for attention and will walk well a leash but still wants to pull to get lots of extra attention and doesn’t want to miss out on anything!! She doesn’t appear to need long walks as well and ignores other dogs barking/cars/distractions. She doesn’t well with cats and has a pray drive. One of the cats in her foster home who bravely ventured out to see her took off running at the first meeting and she chased him. She is also not likely a match for a house with small kids. She doesn’t care much for the kid in her foster house meaning she mostly ignores her during play/socializing which is fine. Overall, this dog is perfect for someone without kids who can give some attention and a lot of affection. No destruction/whining/barking/etc. when left alone. You wouldn’t know you had a dog even let alone an 80lb dog (who by the way has to lose 10lbs). 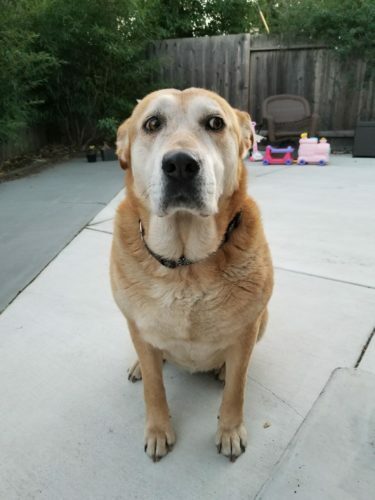 She is thriving in her foster home so we are looking for a serious potential adopter to potentially go meet her in Palo Alto or to be understanding while we organize a time for her to come to Family Dog Rescue and everyone to meet. San Francisco has the lowest average pet deposit for dog owners looking to rent. Pups are allowed on trolleys, in several restaurants, and a few gyms if you want your pooch to spot you while you work out. San Fran is also home to DogFest, an annual festival that celebrates dogs and raises money for a local elementary school. There are also more than 50 different dog meetup groups, so get social. The Alta Group, will be covering the conference for Leasing News. BB&T Commercial Equipment Capital Corp.
First Midwest Equipment Finance Co.
Fuyo General Lease (USA) Inc.
IBERIA Corporate Asset Finance, Inc.
Mitsubishi UFJ Lease & Finance (U.S.A.) Inc.
People's Capital and Leasing Corp.
1638 - The first permanent white settlement in Delaware was established. Swedish Lutherans who came to Delaware were the first to build log cabins in America. The first English colonists did not know how to build houses from logs but those who lived in the forests of Scandinavia, Germany and Switzerland did. German pioneers who settled in Pennsylvania built the first log cabins there in the early 1700s. The Scot-Irish immigrants who settled in the Appalachian highlands after 1720 made the widest use of log cabins and by the time of the American Revolution, log cabins were the mainstay among settlers all along the western frontier. 1756 - The first stage route linking Philadelphia and New York City was completed. The roads were poor in Colonial times and affected meetings in Philadelphia. By 1766, the Flying Machine, a box wagon that ran from Camden to what is now Jersey City, was the fastest way to travel. The 90-mile trip took two days and passengers had to use a ferry at each end. The first major turnpike in America was completed in 1794 between Philadelphia and Lancaster, Pa. The large profits that could be realized by sponsoring such a company led to the construction of many such roads throughout America, often in areas where they were not necessary. Lancaster Turnpike, 62 miles long, was the first macadam road in the U.S. In 1806, the first appropriation by Congress was made to build the Great National Pike, also known as the Cumberland Road as it linked Cumberland, Maryland to Vandalia, Illinois (see below). 1790 - John Tyler (d. 1862), tenth president of the US (Apr 6, 1841-Mar 3, 1845), was born at Charles City County, VA, Tyler succeeded to the presidency upon the death of William Henry Harrison. Tyler's first wife died while he was president, and he remarried before the end of his term in office, becoming the first president to marry while in office. Fifteen children were born of the two marriages. In 1861, he was elected to the Congress of the Confederate States but died at Richmond, VA, Jan 18, 1862, before being seated. His death received no official tribute from the US government. 1806 - Congress appropriated $30,000 as part of a program to build national highways, starting with what was called the Great National Pike, later to be known as the Cumberland Gap, built in sections from 1806 to 1940 between Cumberland, MD, and Vandalia, IL. Its primary purpose was to connect the Potomac and Ohio Rivers. Total cost was $6,821,246. In 1856, the road was turned over to the states though which it passed. Today, much of the alignment is followed by US Route 40, with various portions bearing the alternate US Route or various state-road numbers. 1814 - In the Battle at Horseshoe Bend, Alabama, Andrew Jackson beat the Creek Indians. 1847 - Some 12,000 US forces led by General Winfield Scott occupied the city of Vera Cruz after Mexican defenders capitulated. 1848 - Ice jam in Niagara Falls. For the first time in recorded history, Niagara Falls stopped flowing. An ice jam in the Niagara river above the rim of the falls caused the water to stop. 1852 - Ohio legislated that children under 18 and women cannot work more than 10 hours a day. 1856 - Clipper ship "Nightingale" sailed from London to San Francisco in 121 days, a world record. 1865 - The final campaign of the war begins in Virginia when Union troops of General Ulysses S. Grant move against the Confederate trenches around Petersburg. General Robert E. Lee's outnumbered Rebels were soon forced to evacuate the city and begin a desperate race west. Eleven months before, Grant moved his army across the Rapidan River in northern Virginia and began the bloodiest campaign of the war. For six weeks, Lee and Grant fought along an arc that swung east of the Confederate capital at Richmond. They fought some of the conflict's bloodiest battles at Wilderness, Spotsylvania, and Cold Harbor before they settled into trenches for a siege of Petersburg. Lee's army was dwindling in size to about 55,000, while Grant's continued to grow--the Army of the Potomac now had more than 125,000 men ready for service. On March 25, Lee attempted to split the Union lines when he attacked Fort Stedman, a stronghold along the Yankee trenches. His army was beaten back, and he lost nearly 5,000 men. Grant seized the initiative, sending 12,000 men past the Confederates' left flank and threatening to cut Lee's escape route from Petersburg. Two days later, the Yankees struck at Five Forks, soundly defeating the Rebels and leaving Lee no alternative. He pulled his forces from their trenches and raced west, followed by Grant. It was a race that even the great Lee could not win. He surrendered his army on April 9 at Appomattox Court House. 1867 - Birthday of Denton True “Cy” Young (d. 1955), Baseball Hall of Fame pitcher, at Gilmore, OH. Young is baseball's all-time winningest pitcher, having accumulated 511 victories in his 22-year career. The Cy Young Award is given each year in his honor to the best pitcher in each league. Inducted into the Hall of Fame in 1937. In addition to wins, Young still holds the Major League records for most career innings pitched (7,356), most career games started (815), and most complete games (749). He also retired with 316 losses, the most in MLB history. Young's 76 career shutouts are fourth all-time. He also won at least 30 games in a season five times, with ten other seasons of 20 or more wins. In addition, Young pitched three no-hitters, including the third perfect game in baseball history, first in baseball's "modern era.” As a result, his average year was 23-14, 334 innings pitched, 37 games started, 34 complete games, 3.5 shutouts, with a career ERA of 2.63. In 1999, 88 years after his final appearance and 44 years after his death, editors at “The Sporting News” ranked Young 14th on their list of "Baseball's 100 Greatest Players." That same year, baseball fans named him to the MLB All-Century Team. 1867 - Congress approved the Lincoln Memorial. 1867 - The North American Pact: this act of the British Parliament established the Dominion of Canada, uniting Ontario, Quebec, Nova Scotia and New Brunswick. The remaining colonies in Canada were still ruled directly by Great Britain until Manitoba joined the Dominion in 1870, British Columbia in 1871, Prince Edward Island in 1873, Alberta and Saskatchewan in 1905 and Newfoundland in 1949. Union was proclaimed July 1, 1867. 1882 - The first Knights of Columbus charter was granted by the state of Connecticut. Founded by Father Michael J. McGovney in New Haven, it was named in honor of the Christopher Columbus. This Catholic family fraternal service organization has grown into a volunteer force of Knights and family members totaling nearly six million who annually donate tens of millions of dollars and volunteer hours to countless charitable projects. 1886 - Coca-Cola is created (with cocaine—legal at the time). 1886 - Atlanta was drenched with a record 7.36 inches of rain in 24 hours. 1893 - US Congressman James Blount arrived in Hawaii to investigate the change in government. He later reported to Congress that annexation to the US was being forced and that the people of Hawaii supported their queen. After a coup overthrew Queen Lili’uokalani of Hawai'i in early 1893, the new government sought annexation to join the United States. President Benjamin Harrison was supportive and sent a treaty to the Senate. His successor, President Grover Cleveland, a Democrat like Blount, opposed annexation and sent Blount, now a private citizen, to investigate. The report he issued on July 17, 1893 is known as the Blount Report. Blount recommended the rejection of annexation, and stated that the natives should be allowed to continue their Asiatic ways. When Blount blamed the U.S. consul for providing assistance for the overthrow, Cleveland proposed to use American military force to overthrow the new government by force and reinstall Liliuokalani as an absolute monarch. When the deposed Queen refused to grant amnesty as a condition of her reinstatement, she was accused of telling an American official she would "behead" the current government leaders and confiscate their property, Cleveland washed his hands of the matter by referring it to Congress. The U.S. Senate, under Democratic control but angered at being shut out of a major foreign policy issue by Cleveland, then produced its own report, written by Senator John Tyler Morgan, a Democrat. It completely contradicted Blount's findings and found the revolution in Hawaii was a completely internal affair. 1906 - E. Power Biggs (d. 1977) was born at Westcliff-on-Sea, Essex, England. He came to the US in 1930 at the age of 24, naturalized as an American citizen, and became a well-known Baroque organist who helped establish the organ as a concert instrument. Biggs refused to perform on electronic organs, but sought out and recorded on organs surviving from the era of Johann Sebastian Bach and George Frederick Handel. After arthritis forced him to retire, he published early organ music. 1918 - Singer Pearl Bailey (d. 1990) birthday, Southampton County, VA. A star of stage, screen and television, she won a Tony Award and Daytime Emmy Award. 1920 - Clear Spring, MD, received 31 inches of snow in 24 hours to establish a state record. 1925 - Black leaders protest the showing of D. W. Griffith's “Birth of a Nation,” scheduled to open at the Rialto Theatre in Charleston on April 1, on the grounds it violated a 1919 state law prohibiting any entertainment which demeaned another race. Mayor W. W. Wertz and the West Virginia Supreme Court supported their argument and prevented the showing of the film. 1936 - Birthday of Judith Guest, author, Detroit. Her novel, “Ordinary People,” was the first unsolicited manuscript accepted by Viking Publishers in 30 years. The movie version won four Academy Awards, including best picture. Rank and organization: Staff Sergeant, U.S. Army, Company A, 38th Armored Infantry Battalion, 7th Armored Division. Place and date: Kirchain, Germany, 29 March 1945. Entered service at: Kingston, N.Y. Birth: Kingston, N.Y. G.O. No. : 119, 17 December 1945. Citation: He was a squad leader when the task force to which his unit was attached encountered resistance in its advance on Kirchain, Germany. Between the town's outlying buildings 300 yards distant, and the stalled armored column were a minefield and 2 bridges defended by German rocket-launching teams and riflemen. From the town itself came heavy small-arms fire. Moving forward with his men to protect engineers while they removed the minefield and the demolition charges attached to the bridges, S/Sgt. Dietz came under intense fire. On his own initiative he advanced alone, scorning the bullets which struck all around him, until he was able to kill the bazooka team defending the first bridge. He continued ahead and had killed another bazooka team, bayoneted an enemy soldier armed with a panzerfaust and shot 2 Germans when he was knocked to the ground by another blast of another panzerfaust. He quickly recovered, killed the man who had fired at him and then jumped into waist-deep water under the second bridge to disconnect the demolition charges. His work was completed; but as he stood up to signal that the route was clear, he was killed by another enemy volley from the left flank. S/Sgt. Dietz by his intrepidity and valiant effort on his self-imposed mission, single-handedly opened the road for the capture of Kirchain and left with his comrades an inspiring example of gallantry in the face of formidable odds. Rank and organization: Private, U.S. Army, Company B, 5th Medical Battalion, 5th Infantry Division. Place and date: Near Montereau, France, 25 August 1944. Entered service at: Albion, Ill. Born: 26 February 1918, Fairfield, Ill. G.O. No. : 20, 29 March 1945. Citation: For conspicuous gallantry and intrepidity at the risk of his life above and beyond the call of duty. On 25 August 1944, in the vicinity of Montereau, France, the enemy was sharply contesting any enlargement of the bridgehead which our forces had established on the northern bank of the Seine River in this sector. Casualties were being evacuated to the southern shore in assault boats paddled by litter bearers from a medical battalion. Pvt. Garman, also a litter bearer in this battalion, was working on the friendly shore carrying the wounded from the boats to waiting ambulances. As 1 boatload of wounded reached midstream, a German machinegun suddenly opened fire upon it from a commanding position on the northern bank 100 yards away. All of the men in the boat immediately took to the water except 1 man who was so badly wounded he could not rise from his litter. Two other patients who were unable to swim because of their wounds clung to the sides of the boat. Seeing the extreme danger of these patients, Pvt. Garman without a moment's hesitation plunged into the Seine. Swimming directly into a hail of machinegun bullets, he rapidly reached the assault boat and then while still under accurately aimed fire towed the boat with great effort to the southern shore. This soldier's moving heroism not only saved the lives of the three patients but so inspired his comrades that additional assault boats were immediately procured and the evacuation of the wounded resumed. Pvt. Garman's great courage and his heroic devotion to the highest tenets of the Medical Corps may be written with great pride in the annals of the corps. 1951 – 23rd Annual Academy Awards at the RKO Pantages Theater in Los Angeles was hosted by Fred Astaire. Best Picture (of 1950) was "All About Eve" (“It's all about women --- and their men!”), produced by Darryl F. Zanuck. It won six Oscars in all, including Best Supporting Actor for George Sanders, Best Director and Best Writing/Screenplay for Joseph L. Mankiewicz; Best Costume Design/Black-and-White for Edith Head and Charles Le Maire; and Best Sound/Recording (20th Century-Fox Sound Dept.). "All About Eve" also was nominated eight other times. The Best Actor award went to José Ferrer for "Cyrano de Bergerac" and the Best Actress was voted to be Judy Holliday for "Born Yesterday." Best Supporting Actress was Josephine Hull for "Harvey." Best Music/Song prizes were awarded to Ray Evans and Jay Livingston for the Nat King Cole classic, "Mona Lisa," from "Captain Carey, U.S.A."
1951 - In one of the most sensational trials in American history, Julius and Ethel Rosenberg are convicted of espionage for their role in passing atomic secrets to the Soviets during and after World War II. The husband and wife were later sentenced to death and were executed in 1953. 1951 - The Chinese rejected MacArthur’s offer for a truce in Korea. 1953 - U.S. Air Force Lieutenant Colonel George L. Jones, 4th Fighter-Interceptor Wing, became the 30th ace of the Korean War. 1954 - Born at Scranton, PA, Karen Ann Quinlan became the center of a legal, medical and ethical controversy over the right to die. 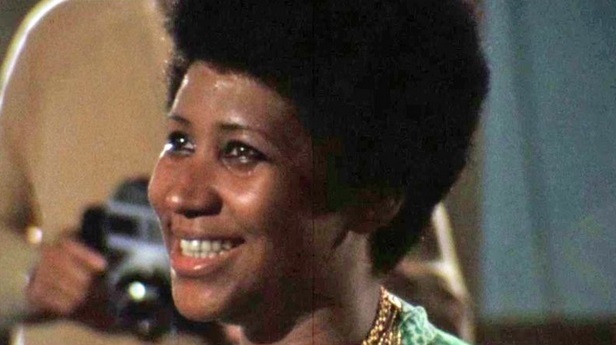 She became irreversibly comatose on Apr 14, 1975. A petition filed by her adoptive parents in New Jersey's Superior Court, Sept 12, 1975, sought permission to discontinue use of a respirator, allowing her to die "with grace and dignity." In 1976, the petition was upheld by New Jersey's Supreme Court. Quinlan lived nearly a decade without the respirator, until June 11, 1985. Her plight brought into focus the ethical dilemmas of advancing medical technology--the need for a new understanding of life and death; the right to die; the role of judges, doctors and hospital committees in deciding when not to prolong life. Make sure you have written documents, properly executed in conformance with your state's law, to express your intentions regarding medical decisions (including "life support" systems that only prolong death), which may need to be made under circumstances in which you may no longer be able to make them for yourself. 1958 - Connie Francis enjoys her first chart success as "Who's Sorry Now?" reached Billboard's #4 spot. Over the next ten years she will place 55 more songs on the Billboard hit parade. 1959 – “Some Like It Hot,” starring Marilyn Monroe, Tony Curtis and Jack Lemmon, premiered. 1961 - District of Columbia residents were given the right to vote in presidential elections under the 23rd Amendment. 1962 - Jack Paar left his highly successful late night TV talk show after five years. He left behind a salary of $250,000 and an estimated audience of eight-million people, including my family. My father and I would stay up late every night, watching this show together. It was our favorite. On Friday nights, we had poker games and watched it while we played. Fill-in hosts were used, including one who would ultimately win the coveted position of host of "The Tonight Show." He was Johnny Carson before Johnny Carson. 1964 - 534 Broadway, San Francisco. Comedian Lenny Bruce, wearing only his birthday suit fell out of the Swiss American Hotel’s second story window into the parking lot. He landed on his feet, breaking both ankles and smashing his bones into his hips. But he was conscious. The hospital attendants taped his mouth shut as his language was disturbing to them. 1971 - Lt. William Calley is convicted of the premeditated murder of at least 22 Vietnamese civilians at My Lai 4. He was paroled in November, 1974. 1971 - Led Zeppelin registers all six of its albums on the charts simultaneously, a feat never before made in pop history. 1971 - Charles Manson is sentenced to life imprisonment after 9 1/2-month trial-- longest in California history until then. On January 25, 1971, the jury returned guilty verdicts against the four defendants, Manson and his ‘family,” on each of the 27 separate counts against them. On April 19, 1971, Judge Older sentenced the four to death. In February 1972, the death sentences of all five parties were automatically reduced to life in prison, where he remains today, by the California Supreme Court which abolished the death penalty in that state. He died in prison at the age of 83 in 2017. 1973 – The US withdrew from Vietnam. Two months after the signing of the Vietnam peace agreement, the last U.S. combat troops left as Hanoi freed the remaining American prisoners of war held in North Vietnam. America’s direct eight-year intervention in the War was at an end. In Saigon, some 7,000 U.S. Department of Defense civilian employees remained behind to aid South Vietnam in conducting what looked to be a fierce and ongoing war with communist North Vietnam. 1973 - The "Alert Orange Baseball" was used for the first time in Major League history. An invention of Oakland A’s owner Charlie Finely, it was used in a spring training game. Finley contended the ball, painted the color of a construction worker's hat, will be easier for both players and fans to see. But pitchers complained that the ball was slippery and hard to grip, while batters were unable to pick up the spin of the ball without seeing the seams. Although Finley pushed for the use of colored baseballs during the regular season, the idea will never come to fruition. 1975 - Last U.S. troops flee Vietnam. Saigon would fall a month later. The Vietnam War was the longest and most unpopular foreign war in U.S. history and cost 58,000 American lives. As many as two million Vietnamese soldiers and civilians were killed. 1976 - 48th Academy Awards were held at the Dorothy Chandler Pavilion in Los Angeles. Hosts for the gala were Goldie Hawn, Gene Kelly, Walter Matthau, George Segal and Robert Shaw (Saul Zaentz, Michael Douglas, producers) selected as the Best Picture of 1975 "One Flew Over the Cuckoo's Nest." It also scored the Best Director prize for Milos Forman, the Best Actor honor for Jack Nicholson and the Best Actress Oscar for Louise Fletcher, plus the Oscars for Best Writing to Bo Goldman and Lawrence Hauben. The Best Supporting Actor nod went to eighty-year-old George Burns for "The Sunshine Boys" and Best Supporting Actress was Lee Grant in "Shampoo." The Best Music/Song winner was Keith Carradine for "I'm Easy" from "Nashville." Other favorite winning and nominated flicks from the year 1975 include: "Dog Day Afternoon" which won the Oscar for Best Writing/Original Screenplay (Frank Pierson); "Jaws" which was awarded gold statuettes for Best Sound (Robert L. Hoyt, Roger Heman, Earl Mabery, John R. Carter), Best Film Editing (Verna Fields); and Best Music/Original Score (John Williams); "The Day of the Locust;" "Funny Lady" and "Tommy." 1976 - Jennifer Capriati (tennis champion: Olympic gold-medalist , Wimbledon ), born New York, New York. 1979 - The House Select Committee on Assassinations released the final report on its investigation into the assassinations of President John F. Kennedy, Martin Luther King, Jr., and Robert Kennedy on this day. Based on available evidence, the committee concluded that President Kennedy was assassinated as a result of a conspiracy, although no trail of a conspiracy could be established. They also concluded that on the basis of scientific acoustical evidence two gunmen fired at the President, although no second gunman could be identified. [Note: In December 1980, the FBI released a report discounting the two-gunman theory, stating that the distinguishable sounds of two separate guns were not proven scientifically.] In addition, the committee concluded that the possibility of conspiracy did exist in the cases of Dr. King and Robert Kennedy, although no specific individuals or organizations could be pinpointed as being involved. 1982 - The oldest soap opera on network television, "Search for Tomorrow," made a big change. It jumped from CBS, where it grew in popularity for 30 years, to the daytime schedule on NBC. During the change, the program, owned and sponsored by Proctor and Gamble, continued right along with the soap, going from one network to the other the following day. The company wanted to maintain its regular 12:30 p.m. time slot, but CBS had other plans for "Search." NBC agreed to the 12:30 time and "Search" became an NBC property. Lots of celebrities have been featured on "Search for Tomorrow" including: Don Knotts, Sandy Duncan, Lee Grant, Tom Ewell, Roy Scheider and Hal Linden. 1982 - The 54th Annual Academy Awards, presented this day at the Dorothy Chandler Pavilion, Los Angeles. Johnny Carson acted as host for the party. Two of America's most revered performers, Henry Fonda and Katharine Hepburn scored as Best Actor and Best Actress in "On Golden Pond." The Best Picture (1981) and Best Writing/Screenplay Written Directly for the Screen (Colin Welland) was "Chariots of Fire" (David Puttnam, producer). It also won the prizes for Best Costume Design (Milena Canonero) and Best Music/Original Score (Vangelis). The Best Director Oscar went to Warren Beatty for "Reds." Best Supporting Actor, John Gielgud, won for his work in "Arthur." The Best Supporting Actress was Maureen Stapleton for "Reds" and Best Music/Song prizes went to Burt Bacharach, Carole Bayer Sager, Christopher Cross and Peter Allen for "Arthur's Theme (Best That You Can Do)" from "Arthur," of course. One of the night's biggest winners (four Oscars -- Art Direction, Sound, Film Editing, Special Effects -- and four more nominations) was "Raiders of the Lost Ark." 1984 – The Yankees traded one of the key members of their last World Championship teams of the 1970s when they dispatched Graig Nettles to the San Diego Padres. Nettles, who had angered Yankees owner George Steinbrenner by criticizing him in a book, hit 20 home runs and helped the Padres reach the 1984 World Series that they eventually lost to the Detroit Tigers. Nettles’ timely hitting in both the 1977 and 1978 Series helped win both for the Yanks against the Dodgers. His acrobatic fielding in the ’78 classic is still shown in highlight film that left the Dodgers in awe. 1989 - The 61st Annual Academy Awards ceremony was presented at the Shrine Auditorium, Los Angeles. There was no host. "Rain Man" (Mark Johnson, producer) was awarded the Best Picture Oscar with its star, Dustin Hoffman, scoring as Best Actor, Barry Levinson getting the Best Director prize, and Ronald Bass and Barry Morrow picking up the award for Best Writing/Original Screenplay. Best Actress (of all the movies of 1988) was Jodie Foster for "The Accused." The Best Supporting Actor Oscar was won by Kevin Kline for "A Fish Called Wanda" and the Best Supporting Actress was Geena Davis in "The Accidental Tourist." Carly Simon won Best Music/Song for "Let the River Run" from "Working Girl." Other popular movies from 1988 including Oscar winners and non-winning nominees were: "Dangerous Liaisons,” "Mississippi Burning," "Big,” "Gorillas in the Mist," "Who Framed Roger Rabbit," "Beaches," "Die Hard," "Beetlejuice," et al. 1993 – 65th Annual Academy Awards at the Dorothy Chandler Pavilion, Los Angeles. Comedian/actor Billy Crystal hosted the show for the fourth straight year. Clint Eastwood was honored with Best Picture and Best Director Oscars for his "Unforgiven." He starred, directed and produced the gritty Western which also won an award for Best Film Editing (Joel Cox) and Best Supporting Actor (Gene Hackman). Best Actor was Al Pacino for "Scent of a Woman" and the Best Actress prize went to Emma Thompson for "Howards End." Marisa Tomei took home the award for Best Supporting Actress for "My Cousin Vinny." 'Toons winning tune awards was a popular 1990s event at the Oscars and this year was no different. "Aladdin" picked up two: Best Music/Song awarded to Alan Menken (music), Tim Rice (lyrics) for "A Whole New World" and Best Music/Original Score (Alan Menken). 1994 – Jimmy Johnson, having guided the Cowboys to two Super Bowl victories in his five years, announced that he was resigning as Dallas’ head coach. After the Cowboys had won their first Super Bowl under Johnson, Owner Jerry Jones told the media that any coach could have led the Cowboys to a Super Bowl. This infuriated Johnson. Another incident happened in December, 1993, when Johnson had said he would be interested in the Jacksonville Jaguars' head coaching position. This led to Jones telling the media that he alone would decide Johnson's coaching future. They agreed to part on March 28, 1994, after the Cowboys had won their second straight Super Bowl. After winning in the year after Johnson departed, the Cowboys drought is ongoing, although they finally reached the playoffs in 2016. 1998 - The Indiana Pacers, coached by Larry Bird, set an NBA record for fewest points scored in a game by one team since the advent of the 24-second clock in the 1954-55 season. The Pacers, without their two top scores, Reggie Miller and Rik Smits, managed on 55 points, losing to the San Antonio Spurs, 74-55. Indiana shot 27 percent for the game. The previous record for fewest points was 57 held by three teams. 1999 - The Dow-Jones Index of 30 major industrial stocks topped the 10,000 mark for the first time. 2008 - The Dodgers celebrated the 50th anniversary of their move to LA by playing an exhibition against the Boston Red Sox in their original home, the LA Memorial Coliseum. A crowd of 115,300 is present, the largest ever assembled at a baseball game anywhere. 2011 - James Bullard, President of the Federal Reserve Bank of St. Louis calls for the Federal Reserve to limit its purchase of U.S. Treasuries because they 'feed the fire' of inflation.